There are going to be some differences in brands of China ATVs. However, we are discussing the more common youth styles. These quads are generally 4 stroke engines. They are air cooled and have a single cylinder. For the most part, the General Maintenance Tips here will apply. Check the pictures I'm including as well as your owner's manual to be sure you have a similar ATV. Click here for a FREE list of China ATV features! Click here to learn how to assemble your new ATV! Changing the oil in China ATVs is a simple and important task. A huge problem is the fact that many China ATVs come from the factory with a "shipping oil". 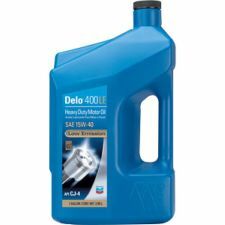 This cheap, low grade oil can cause severe, permenant damage. In my experience, I prefer to assemble an ATV, check to be sure it starts, and then turn it off and change the oil. I do not move it until I change it. This tip has also been reinforced to me through the manufacturers. Changing the oil is simple. The oil dipstick is located on the right side (if your sitting on it) near the foot peg. The oil drain plug is located directly under the ATV. It is usually a 15mm or 17mm plug. Remove the plug with a socket and let the oil drain out. 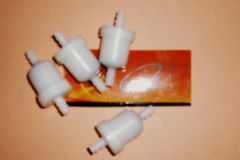 There are usually no oil filters on China ATVs. If there is one, it will be a non-disposable one located in the pan to replace after draining.Replace the drain plug after draining. Refill at the dipstick to the proper level. Most small China ATVs require a half quart or so. My recommended oil weight is 15W40. Any brand you prefer. Most manufacturers call for this weight as well. Another General Maintenance tip for China ATVs is the inspection of the fuel lines and filter. Most smaller China ATVs will not have a fuel pump. They are gravity fed from the tank. Some do have pumps, but our maintenance of the lines will be the same. The basic idea is that fuel has to get from the tank, through a small in-line filter and to the carburetor. This is carried out by fuel lines. They are generally 3/16" in size. They will crack, tear, and rot over time. The filters (like the ones shown) on China ATVs will also need replacing at some point. Check for leaking fuel from these lines and the filter. Replacing is as simple as pulling off the leaking fuel line and replacing it with a new one. One important note. Check for kinks in the lines. If fuel can't get to the carburetor, the ATV can't run. Click here to compare China ATVs to Japan Brands! Adjusting the chain on China ATVs is also quite simple. If the chain feels tight when the quad is new, that may be okay. A new chain will stretch some and create slack as it breaks in. However, too much slack can cause it to always come off. 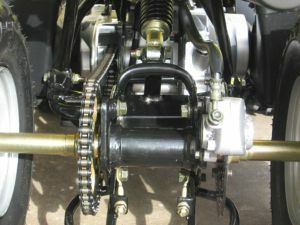 Most China ATVs employ the same chain adjustments as the old 3-wheelers of the past. Look at the ATV from behind. You should notice that near the center of the rear axle, there are 4 axle bolts. Two on the top, and two on the bottom. You must first loosen these bolts. Next, you can easily see the key shaped tensioners pointing out away from the ATV. These tensioners must be tightened or loosened depending on whether you are tightening or loosening the chain. This action causes the axle to be pulled in or out to put more or less tension on the chain. Please be sure to tighten everything once you are happy with the tension on the chain. A common problem on many China ATVs is that the tie rods, or controller arms, need adjusting. These are located in the front of the ATV. You will two of them. They attach to the frame on one side and each to a front tire on the other side. One goes to the left front tire, and one goes to the right front tire. The purpose of the tie rod is control the in or out sway of the front tires. It is basically a steel bar with a "jamb" nut on each side. Over time the nuts can vibrate loose and cause the tie rod to turn. This will cause the tire on that side to turn in or out. Steering will be very difficult if not immpossible. To correct this, let's fix one side at a time. Simply loosen the "jamb" nut located on each side of the left tie rod. Rotate the tie rod and see which way it makes the tire turn; in or out. Keep the handlebars straight. Once you have alligned the tire, tighten both "jamb" nuts. Repeat for the right side tie rod.